Is the Enemy of My Enemy My Friend? 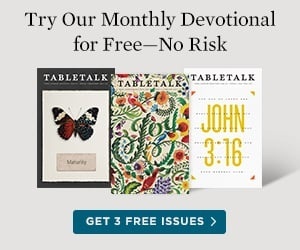 Tabletalk's daily Bible studies offer structure for your devotional life. Bringing the best in biblical scholarship together with down-to-earth writing, Tabletalk helps you understand the Bible and apply it to daily living. Each issue contains challenging, stimulating articles on a wide variety of issues related to theology and Christian living, written by eminently trustworthy authors—names like Sinclair Ferguson, John MacArthur and R.C. Sproul. Tabletalk avoids trends, shallow doctrine and popular movements to present biblical truth simply and clearly, in keeping with historical Christian faith and orthodoxy. Readers find Tabletalk approachable and inviting, with many saying it's like having coffee each morning with their favorite teachers. Its compact size means it fits right in your Bible. Beyond the daily Bible studies, Tabletalk includes carefully selected daily readings to take you through the Bible in a year. 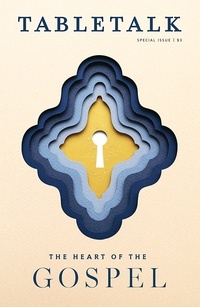 An annual subscription is just $23 ($37 international), more than 36% off the cover price and only $1.92 per month. And you can try it out for three months absolutely free. Tabletalk's 2018 Bible in a Year calendar.